Bainbridge Island, Washington residents - avoid shipping costs and pick up your whole grains! 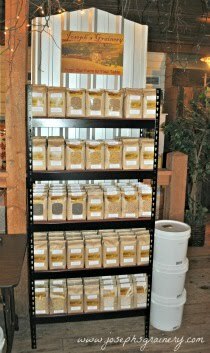 We now offer a local pick up location for your Joseph's Grainery whole grain orders. During check out choose "Local Pick Up" as a shipping option, then specify "Bainbridge Island" in the Special Instructions. After we receive your order, we'll send you an e-mail with directions and available pick up times.